The Securities and Exchange Commission today passed a final rule to permit registered broker-dealers to engage in retail forex business activities, provided that the broker-dealer complies with the Securities Exchange Act of 1934, the rules and regulations thereunder, and the rules of the self-regulatory organization(s) of which the broker-dealer is a member insofar as they are applicable to retail forex transactions. The Commission is adopting Rule 15b12-1 substantially in the form previously adopted as an interim final temporary rule and is providing that the rule will expire on July 31, 2016. The Commission is adopting a rule to permit a registered broker-dealer to engage in a retail forex business, provided that the broker-dealer complies with the Securities Exchange Act of 1934, the rules and regulations thereunder, and the rules of the self-regulatory organization(s) of which the broker-dealer is a member insofar as they are applicable to retail forex transactions. The Commission is adopting Rule 15b12-1 substantially in the form previously adopted as an interim final temporary rule and is providing that the rule will expire on July 31, 2016. As far as the SEC is concerned, the foreign currency exchange (“forex”) market is a large and liquid market used by banks, insurance companies, large corporations, and other large financial institutions to trade in risks associated with fluctuations in foreign currency rates. In recent years, a secondary off-exchange market for forex has developed for retail customers. Many customers may view forex as a possible investment opportunity or portfolio risk management strategy. However, the Commission, its staff, and other regulatory authorities have cautioned investors that the forex market poses risks for retail customers, a matter over which one particular commissioner of the SEC expressed concern only one day previous. Just yesterday, SEC Commissioner Luis Aguilar publically expressed his dismay at the length of time the SEC was taking to bring itself in line with the D0dd-Frank Act, and demonstrated frustration that three years had gone by with still a long way to go before the SEC finalizes its position on the regulatory reformations required to be made with regard to retail FX. In this case, U.S.C. 2(c)(2)(E)(i), as amended by § 742(c) of the Dodd-Frank Act, defines a “Federal regulatory agency” to mean the CFTC, the Securities and Exchange Commission, an appropriate Federal banking agency (as defined in section 3(q) of the Federal Deposit Insurance Act (12 U.S.C. 1813(q))), the National Credit Union Association, and the Farm Credit Administration. The new ruling goes on to define “eligible contract participant” with respect to transactions with major swap participants, swap dealers, major security-based swap participants, security-based swap dealers, and commodity pools. With reference to this, a the regulator made its stance clear on May 23, 2012, in accordance with the CFTC rulings on transparency regarding swaps and transparency of trade reporting. The SEC refers to a “retail forex rule” which applies to any rule proposed or adopted by a Federal regulatory agency pursuant to section 742(c)(2) of the Dodd-Frank Act. On September 10, 2010, the CFTC adopted a retail forex rule for persons subject to its jurisdiction. The CFTC had proposed its rules regarding retail forex transactions prior to the enactment of the Dodd-Frank Act. See CFTC Proposing Release. The Federal Deposit Insurance Corporation (“FDIC”), the Office of the Comptroller of the Currency (“OCC”), and the Board of Governors of the Federal Reserve System (“Board”) have adopted similar rules. Any retail forex rule also must prescribe appropriate requirements with respect to disclosure, recordkeeping, capital and margin, reporting, business conduct, and documentation, and may include such other standards or requirements as the Federal regulatory agency determines to be necessary. This amendment to the CEA took effect on July 16, 2011. As of that date, broker-dealers, including broker-dealers also registered with the CFTC as FCMs (“BD-FCMs”), for which the Commission is the Federal regulatory agency could no longer engage in retail forex transactions except pursuant to a rule adopted by the Commission. On July 13, 2011, the SEC adopted the Interim Rule (Rule 15b12-1T), which allows a registered broker-dealer to continue to engage in, or enter into, a retail forex business until July 16, 2012, provided that the broker-dealer complies with the Exchange Act, the rules and regulations thereunder, and the rules of the self-regulatory organization(s) (“SRO”) of which the broker-dealer is a member, insofar as they are applicable to retail forex transactions. The Interim Rule was designed to provide an opportunity for the public to submit comments. Congress expressly provided that the CFTC has jurisdiction over an FCM’s retail foreign exchange activities only if the FCM is not also a registered broker-dealer. This prohibition does not apply to forex transactions with a customer who qualifies as an ECP, or transactions that are spot forex contracts or forward forex contracts irrespective of whether the customer is an ECP. However, consistent with other Federal regulatory agencies’ retail forex rules, Rule 15b12-1 applies to “rolling spot” transactions in foreign currency by broker-dealers. In July 2012, the Commission extended the Interim Rule to July 16, 2013. 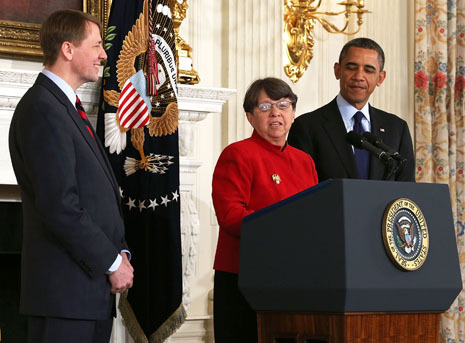 The Interim Rule was intended, in part, to address concerns that broker-dealers would be precluded from entering into foreign exchange transactions on behalf of retail customers in order to facilitate the customer’s purchase or sale of a security listed on a foreign exchange and denominated in a foreign currency (“conversion trades”). Sixteen comment letters were received on the Interim Rule after it was adopted in 2011. Four comment letters (from only two commenters) were received following the extension of the Interim Rule in 2012. These were taken into account and addressed on the release of the ruling by the SEC. Nine commenters asked the Commission to preserve their ability to engage in retail forex transactions, and another group of commenters urged the Commission to adopt a final rule based on the approach followed in the Interim Rule. not one word about segregation of retail client funds? i feel safer already. another question: does the new rule mean that daytraders can be exempt from retail participation/restrictions if positions are closed out before rollover? So who is regulating what?